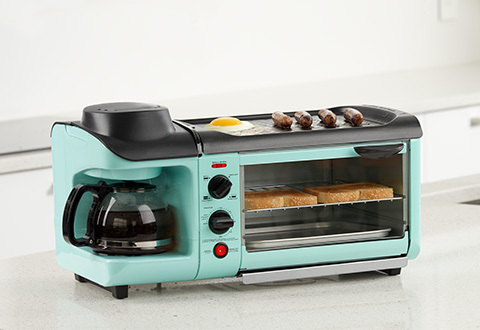 The All-In-One Breakfast Maker lets you create a hearty, complete breakfast with just one appliance. 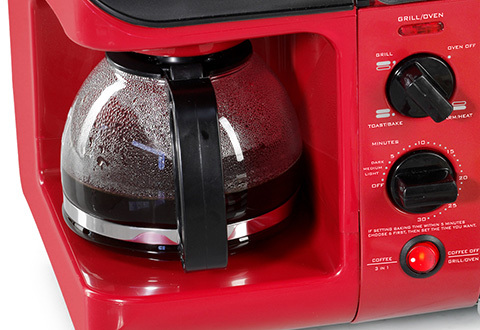 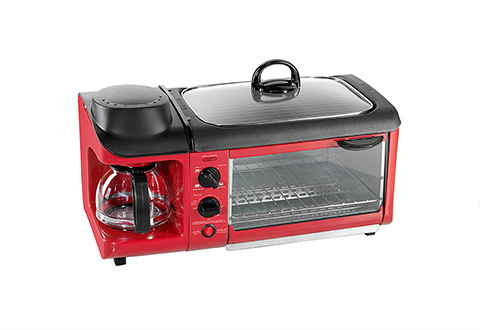 Enjoy a cup of coffee with the four-cup coffee maker, then treat the family to eggs, pancakes, sausage, bacon and more, cooked on the large non-stick griddle. 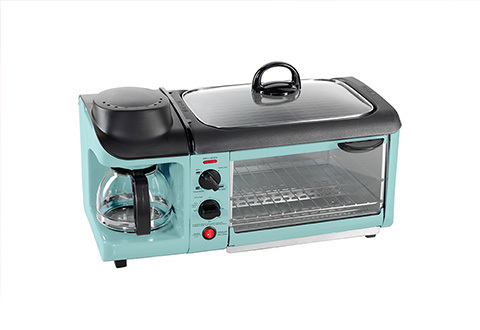 The multifunction toaster oven holds up to four slices of bread at a time, and is also perfect for 7” frozen pizzas, hot sandwiches and more. 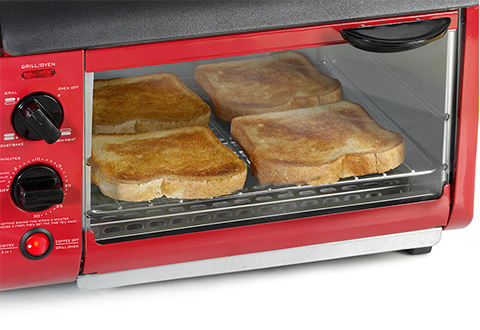 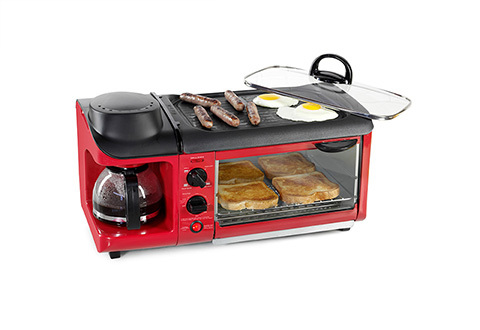 Features safety shutoff timer and removable griddle and crumb tray for easy cleaning. 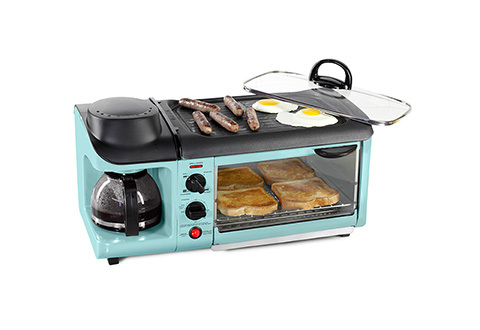 Available in Aqua or Red. 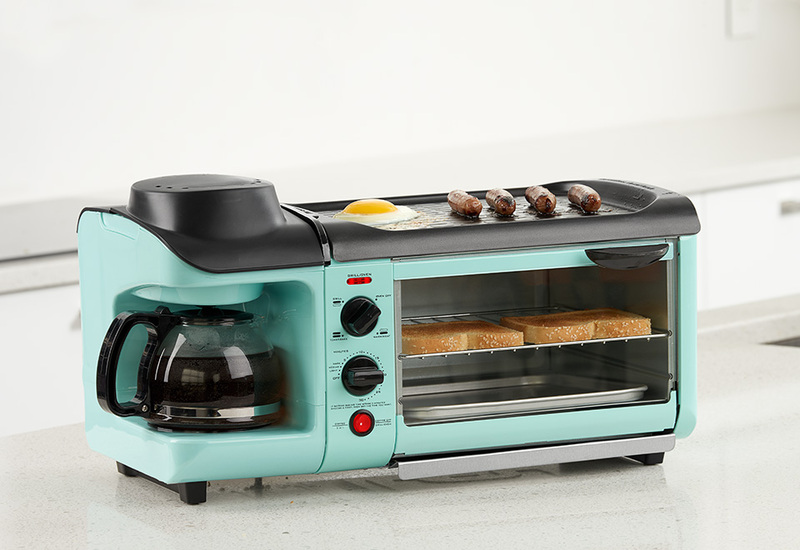 The All-In-One Breakfast Maker lets you create a hearty, complete breakfast with just one appliance. 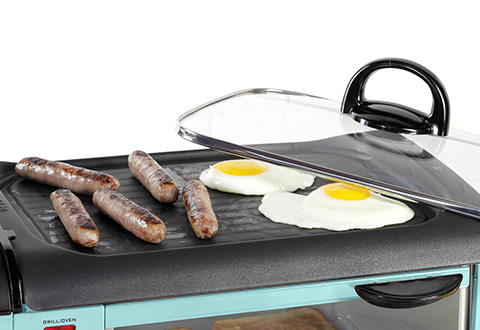 • Large, non-stick griddle for eggs, pancakes, sausage, bacon, etc.